I would like to take a brief minute and thank all the Customer Service Reps and Managers at Autogeek. As a novice detailer I count on the knowledge of those at Autogeek. About a week ago I had to order product for a convertible top. Unfortunately, I can not recall the Rep's name but he suggested Ragg Topp. This product was phenomenal. It took out stains and conditioned the top like new. Last week Nicole helped me with a mis-order with such courtesy and promptness that I had to write an e-mail on her behalf. The list goes on from the Porter Cable Buffer I ordered to the Wolfgang Car Care products. All have been through the advise and suggestion of an Autogeek C/S Rep. 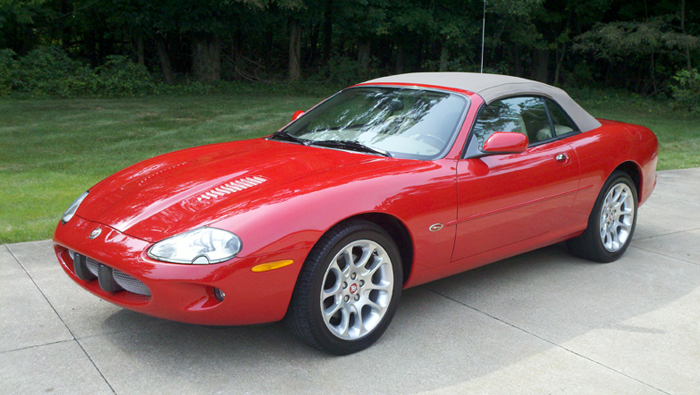 I am attaching a picture of the Jaguar X-Series Supercharged Edition. I used strictly Wolfgang...in fact when I place my net order I getting the Wolfgang banner to put in my garage, that's how sold I am on this product. Again, thanks to all and I am so happy that I have access to your site not only for products but for advise. For those" do-it-yourself-ers" I recommend Autogeek to anyone who is serious about keeping their car's exterior and interior in top condition. As a Business Owner myself I can appreciate dealing with another business that takes pride in what they do and has a staff that feels the same way. Keep up the good work...you have a lifetime customer in me!! !